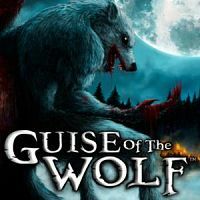 P2P group P2PGAMES has released pc game “Guise of The Wolf” with crack from 3DM. Enjoy! Description: The game is a first person Gothic action adventure game set in the medieval kingdom of Uhorsko. You play Dominik, a young alchemist summoned to protect the kingdom from a ravenous beast. Dominik’s goals soon change as he discovers he has been bitten, and cursed to become the very thing he has set out to stop. Now you Dominik must delve further into a dark castle in search of a cure, and cold answers to the enigma he finds himself entangled in along the way. Playing as Dominik’s human and werewolf form you smoothly switch between human and werewolf to solve puzzles, smash obstacles and proceed on his epic adventure. The game is a combination of action and adventure gameplay elements. As a werewolf you use your powers to fight and smash obstacles. As a human you employ stealth tactics such as hiding and stealing items from castle inhabitants. Transformation – Use moonlight to transform into a werewolf at any time. Transformation can be prolonged by killing humans, breaking stone beacons or standing in the moonlight. Survival – Run, hide and survive being hunted in the darkest places. Solve Puzzles – Pick the perfect time to switch between human and werewolf to solve puzzles such as creating potions by mixing ingredients. Stealth Tactics – Steal gold or rare items from castle inhabitants or by lock-picking. Discovery – Use your map and explore a vast castle to unravel its mystery. Intrigue – Experience a mysterious story with multiple endings. Atmospheric – A classic indie-style with a Gothic theme. Voice Over – Full voice-over dialogue and subtitles to deliver the chilling tale. Original Music – Soundtrack developed exclusively for the game included in the digital copy. Controller – Xbox 360 Controller support with vibration function.